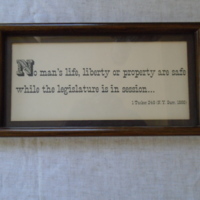 Gideon John Tucker was an American lawyer, newspaper editor and politician. 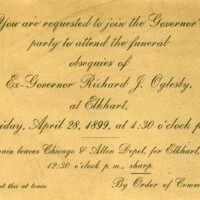 Invitation to attend the funeral of former Governor Richard Oglesby in Elkhart,Illinois, on April 28th, 1899, at 4.30pm. Invitation includes information about funeral train at Chicago and Alton Depot.